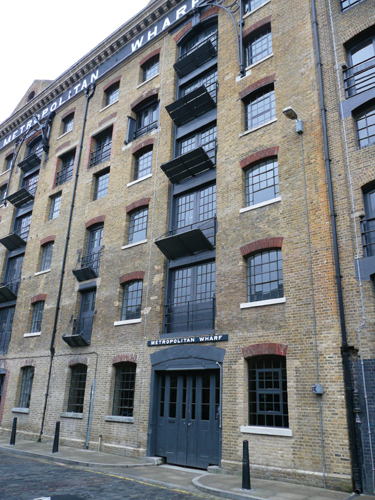 Metropolitan Wharf is a significant 6-storey, Grade II Listed, purpose built Victorian riverside warehouse and comprises 4 buildings, built between 1862 and 1898. Metropolitan Wharf sits as one of Wapping’s most impressive collection of wharf buildings along Wapping Wall. I am frequently employed by developers who are keen to use the right colour in order to convey a particular message. 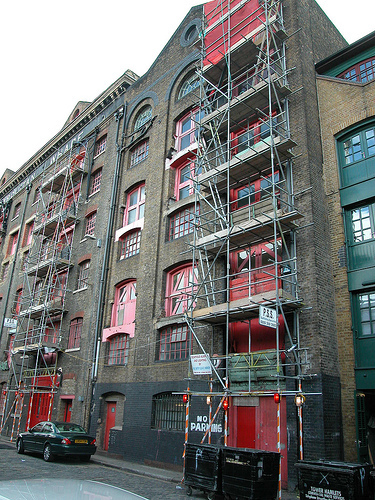 Here I was asked to advise on suitable paint colours for the exterior of this Victorian warehouse. The utterly unmemorable dark grey colour selected by the developer. In a ‘stylish’, but short-lived eggshell finish, which is far from ideal on a riverside building.